Metallica remains to this day the biggest selling album of the US SoundScan era standing at 16 million copies sold in that country alone. It’s hard to imagine an album like Metallica seeing this level of success outside of their home country, even if their self titled fifth album was labelled their slowest record to date. Tracks like The Unforgiven see lead singer James Hetfield at hs softest vocally, the fact he’s able to deliver vocal performances like this is for me personally why I’m drawn more to Metallica than I am to most metal groups. That said, anyone expecting me to give this an album a 10/10 and suddenly book tickets to Download festival might be disappointed. As Metal goes, Metallica is about as accessible as you can get without ending up as Pop Rock (ala Def Leppard). The guitars are louder than ever on tracks like Sad But True, while opener Enter Sandman manages to set the tone for the slow, but never restrained sound that’s about to hit the listener’s ears. Surprisingly the tracks here never feel like go on too long, thanks to some interesting changes of time and songs that don’t feel repetitive. There are missteps of course, Don’t Tread On Me can feel sluggish at times, while the opening Instrumental of Wherever I May Roam is arguably better than the song that follows it. The thundering chorus of Through The Never though is one of the biggest highlights of the album, full of sudden changes of time signature and electronic vocals. Followed by Nothing Else Matters which can only be described as a ballad, the centre of the album is where everything falls into place for me. As an album it doesn’t veer into predictability, the failing of so many other rock albums I’ve covered, so even if it’s not a genre you’d usually like, there’s enough here to appreciate. The most accessible Metal album of all time, Metallica managed to break through to the mainstream in a huge way, without sacrificing their genre integrity in the process. 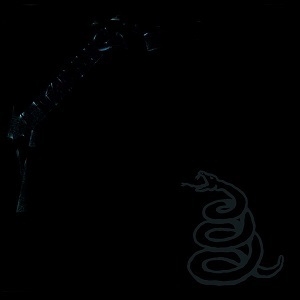 Best Track: Through The Never was the track I most enjoyed every time I listened to Metallica. Tags: Enter Sandman, Metallica, The World's Greatest Hits, Through The Never. Bookmark the permalink.